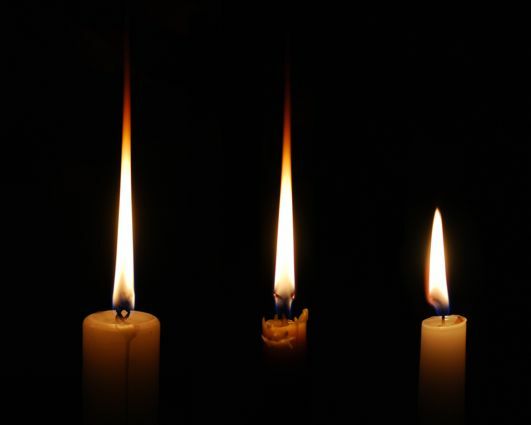 We offer a wide range of multi-wick candles for film and television productions. 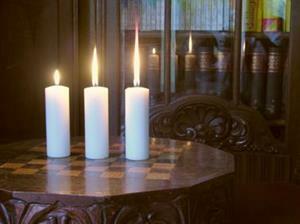 Our candles have been proven in many film and television productions. 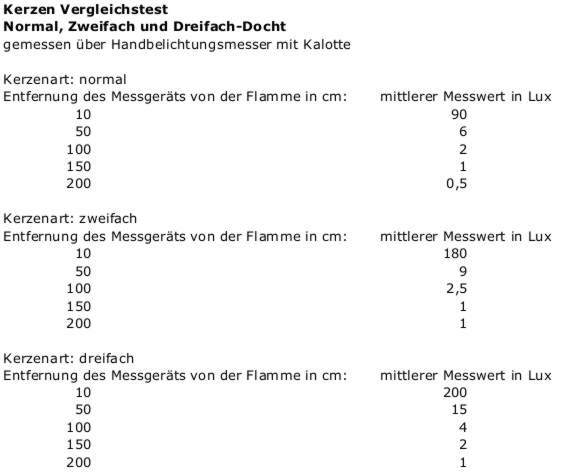 In a special process, the candles are prepared with two or three wicks, resulting in a flame height of up to 12cm instead of 3cm. Our double wick candles have a flame height of about 8cm, while the triple wick candles have a flame height of about 12cm. The flame is much brighter than usually and spreads a pleasant warmth. 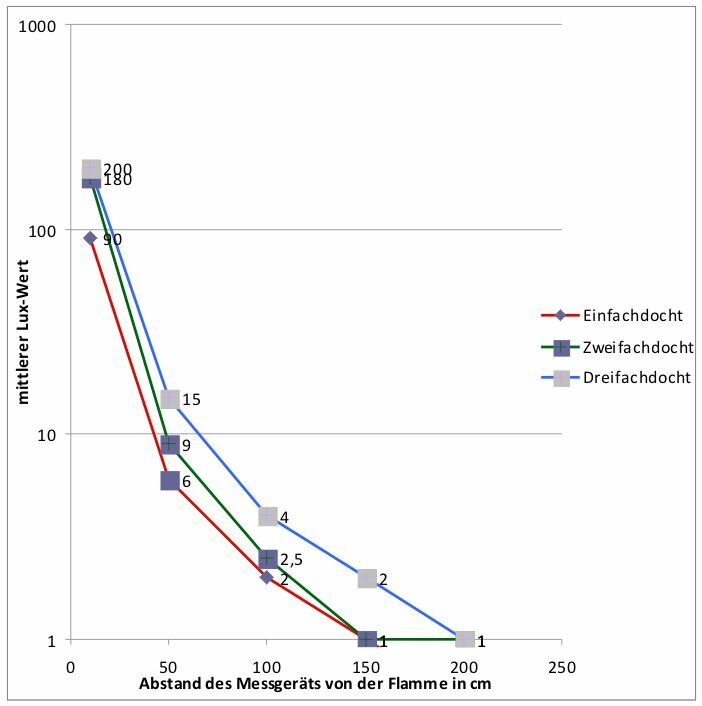 For professional use you can also find a table of measured values ​​in lux to clarify the difference between the candles (please see the gallery above). Due to the very large flame, it is inevitable that the triple wick candle soot. 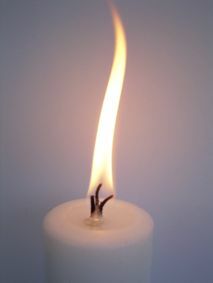 The candles should be used only with adequate ventilation - and like any kind of candles only burned under supervision.